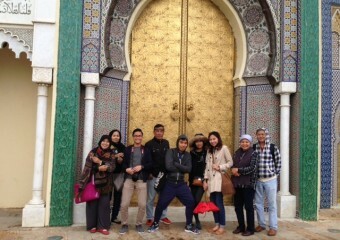 “We had a fantastic time in Morocco! There were so many beautiful places and everything was timed perfectly. All of us have traveled extensively, so I would say that the camel ride was the highlight of the trip, it was a very different experience. About that specific day, we were supposed to spend the night at the tents, which looked beautiful on the pictures but the smell was really bad. 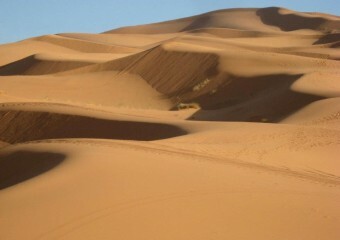 Luckily, there was a sand storm that evening and they offered to take us to the hotel. We end up doing the sunrise ride and that worked out great. Fantastic from all points of view!! 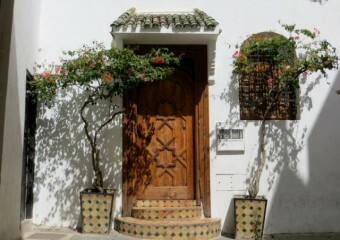 The main part of our visit was Fes. The Medina is superb. It’s really an eye opener to see such ancient market in this modern world. Weather was a little wet when we visited the Medina but all was good. Our driver, Hadji was great! He is warm & made us feel very welcome as a family. 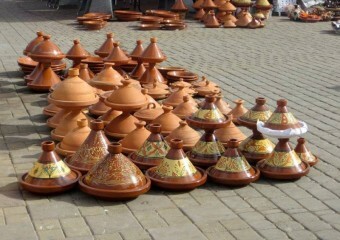 He shared many things about Morocco & its culture. 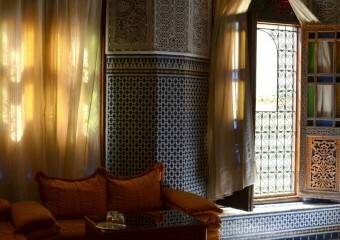 Staying in a riad is really an experience of a lifetime. We fell in love with the beauty of the house deco that we are bringing home ideas for our homes! The lanterns, the sofas, the walls, the tiles , etc, etc…Except for having to climb three stories to our rooms which we were not told earlier in the booking, accommodations were good. 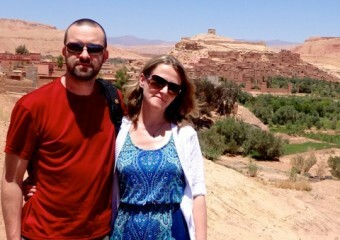 Although we had only 3 days in Morocco, we had great time but not enough of Morocco! “Our tour was just perfect. The driver and tour guide were wonderful. We got to see everything we wanted. 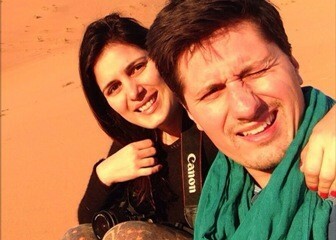 “Thanks to Travel Source we had a great experience in Morocco! 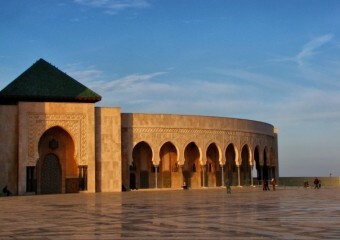 We’d a customized package meeting our budget, a lovely private English-speaking driver and the nicest hotels and riads suggested all by the agency. “We had a fantastic time. To pinpoint one highlight would be difficult—but the overall experience of such a different culture, such beautiful surroundings & such warm & welcoming people made the whole trip an adventure. Our driver, Rachid, was fantastic—always available, watching out for us without being intrusive, wonderful suggestions & an expert driver. 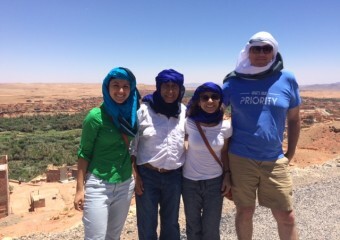 None of us will forget the last 10 minutes of our drive into Marrakech. After our long ride through the middle Atlas, driving into the city was the closest thing to a roller coaster ride we have ever experienced outside an amusement park. The accommodations were spectacular. It took us a little while to figure out meals and how half board worked, but once we figured that out we enjoyed getting to try different foods at local restaurants. Our guides too were knowledgeable & helpful. Essaouira was a nice spot to relax & wind down before heading home. 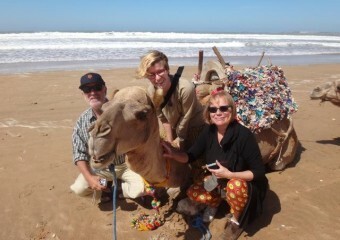 Our riad helped us book a camel ride with Equi Evasion, which we loved. We all thought everything was handled very well—all of the accommodations, meals & guides were first class…& a very good value. I also have to say, that it was wonderful working with Michelle. She was patient with my varied requests & helpful with all our questions. It made us feel much more comfortable booking with Travel Source, because we felt we “had someone” taking personal care of all of our arrangements.